When Buying a Home – Is it Wants vs. Needs? It's a tough market out there - have you thought about what you really want vs. what you really need? It's a good place to start. People Still LOVE their Homes! We were just wondering . . . do you agree? Homeownership Benefits the Community Too! Great News – Home Buying UP all over the country! Be Careful Out There. Mortgage Fraud is UP. California Association of Realtors says Watch Out for Mortgage Modification Fraud! Sierra Oaks Office, Sacramento, CA. Copyright 2013 - 2017 | Mary Willett - REALTOR®; CA BRE#: 01395007; All Rights Reserved, Sacramento, CA 95825 LYON Real Estate – Sierra Oaks; mary@sacramentohomes.net; text/voice: (916) 715-0122; Bob Willett – Senior Loan Officer; NMLS# 238076 Big Valley Mortgage; bob@sacramentohomes.net; main: (916) 485-7939; Big Valley Mortgage is a DBA of American Pacific Mortgage Corporation. CA BRE #$01215943/ NMLS #1850. "Licensed by the Department of Business Oversight under the CRMLA. Big Valley Mortgage is an Equal Housing Lender. LYON Real Estate subscribes to all tenets of the Equal Housing Opportunity Act. 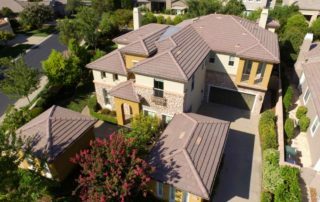 SacramentoHomes.net does not guarantee or is any way responsible for its accuracy, and provides said information without warranties of any kind, either express or implied. The information provided herein is supplied by several sources and is subject to change without notice.